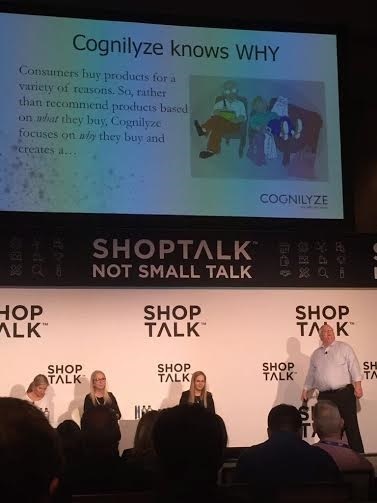 We are back from Las Vegas where Cognilyze sponsored and attended Shoptalk, the NextGen commerce event at the fabulous Aria hotel. The exposure that Cognilyze gained at the show was unbelievable as retailers and strategic partners alike visited us on Main-Street. The event culminated on the 3rd day of the show when our CMO, Ari Ginsberg presented our Psychology Based Approach to Personalization before an audience of executives from leading US retailers. If you missed us at Shoptalk, you can catch us at the IRCE in Chicago next month. Contact me at ari@cognilyze.com to schedule a meeting in Chicago.